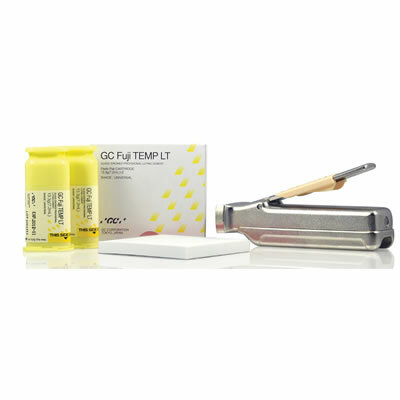 GC Fuji TEMP LT Glass Ionomer Provisional and Implant Cement GC America A reliable, durable, and versatile glass ionomer provisional luting cement that combines the benefits of glass ionomer technology with increased fluoride release. 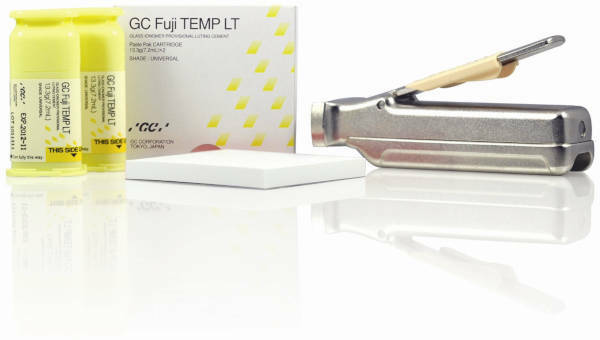 GC America describes GC Fuji TEMP LT as the first glass ionomer provisional luting cement that is versatile, reliable, durable, and easy to use. The material is indicated for provisional cementation of traditional and implantsupported crowns and bridges and for short-term provisional cementation of temporaries.